Clifford Chance has emerged as the strongest-performing Magic Circle firm financially for 2013/14, as the UK elite all unveiled unaudited sterling figures to coincide with the launch of the Global 100 this month. The 3,000-lawyer firm has revealed a 7% rise in revenues to £1.36bn, up from £1.27bn in 2013. Profit per equity partner (PEP) has increased significantly to push average partner drawings back to over £1m after a blip last year, up a trend-busting 16% to £1.14m from £983,000. Although the global recession laid many of the world’s leading law firms low for a time, this year’s Global 100 sees a return to form for some storied players. Legal Business discovers which firms have found their powers again. It has been a rough few years for the supermen and women of the world’s largest law firms. While the disputes and insolvency markets have soared since the 2008 banking crisis, the big name transactional lawyers who had driven their firms’ growth for the preceding two decades faced a prolonged period where their powers and status faded as confidence ebbed from Western markets. For all the improving signs, glancing at our annual Global 100 report shows headline performance largely comparable with 2013. The group increased billings by 4% to $88.63bn, a rise of 4% and the same growth rate achieved in 2013. As with last year, the result was flattered by several large mergers – but top 100 firms have in contrast this year kept a tighter grip on headcount. As such, firms have seen a 2% rise in revenue per lawyer – tracking just behind inflation, while profit per equity partner is up 7%. For all the talk of giving clients value, top law firms remain intensely focused on margins. In the global market, there remain two great powers: English and New York law. While US law has gained an edge in recent years, the debate continues over which will emerge victorious. The popularity of English law is one of the UK’s most enduring sources of soft power, having underpinned the huge global success of London’s law firms and projected British influence for hundreds of years. And yet it is rarely commented on. 2014 is the first year since 2007 that western jurisdictions were not comprehensively outclassed by emerging markets. But Legal Business finds the siren call of eastern economies is still too hard to resist for most Global 100 firms. London has established an increasingly powerful position as a global arbitration hub. But does it have the facilities to drive forward its growth? 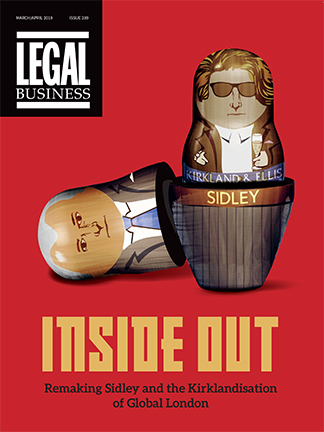 While Russian oligarchs flocking to London’s courts attracted much publicity – and its share of controversy regarding ‘renting’ of British justice – another little-noted boom bringing rich foreign parties to the City to settle disputes is arguably far more significant: the rise of London as an arbitration hub.